Pitch your business plan to the sharks! Calling all Entrepreneurs! Pitch your business plan to mock investors, venture capital firms and sharks! Please join us as a participant where you will have 10 minutes to pitch your business plan to a panel of mock investors. Sharpen your plan and presentation skills as you receive feedback and insight and field questions about your ideas. Guests are welcome to attend and watch from the audience. Mark your calendar and join us. Register today by clicking on the “Register” button above. Invite a guest and share the invite! Light refreshments served. A timer will be set during your presentation and after ten minutes you will be asked to begin the Q and A portion for 5 minutes. The next CicLAvia will be held on Sunday, April 6, from 9am-4pm! We’re thrilled to return to the Iconic Wilshire Boulevard route and can’t wait to co-host the national Open Streets Summit in Los Angeles that same weekend. We’re also pleased to announce that our October 5 CicLAvia will be a return to the Heart of LA with a new downtown route and our December 7 event will go to South LA with a new route. If you’ve taken part in CicLAvia before, you have an idea of what to expect — a sea of smiling faces discovering a different side of Los Angeles by foot, bike, or skates. People connecting with businesses, alternative transportation and with each other along the car-free route in a car-free environment. Events that transform the shared spaces of our city are rare and unique. If you have friends that haven’t yet experienced the magic and wonder of CicLAvia, take a moment to invite them to attend CicLAvia – Iconic Wilshire Boulevard on April 6. From the activity-filled pedestrian zone along Museum Row to the stunning architectural history of Wilshire Boulevard, there is something for everyone. Hurry in to try our new Whole Food Nutrition™ Smoothie or Fit ‘n Fruitful™ Smoothie for just $2. A good deal for a great start to 2014. Offer valid 1/24-1/28/14. Enter your zip to find a Jamba store near you. Please note coupon exclusions above. Microsoft Windows 9 Due Early 2015 . Details are coming in, but reportedly Windows 9 is coming sooner than most anticipated. What will change and how will the upgrade from previous versions of Windows be handled? We should expect to see new format screens possibly one at 4.7″ and one larger at 5.7″. This new thin phone could revolutionize the thickness of phones. 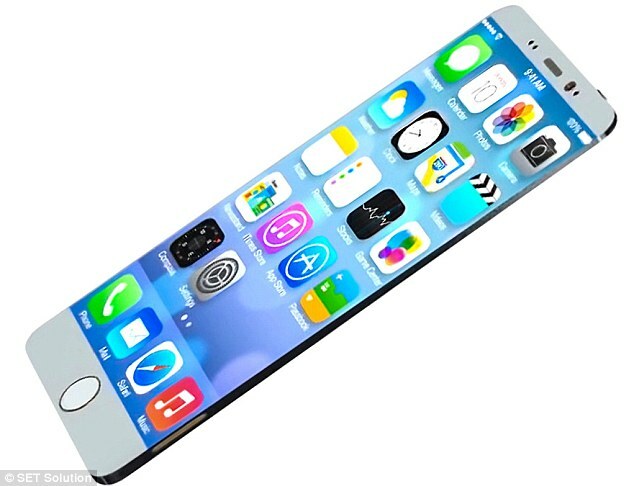 The iPhone 6 or the what some are calling the iPhone Air, is the 9th version of the iPhone. Expected to be announced sometime in 2014, possible at the WWDC in June 2014. If you are like me you are always looking for a place to eat breakfast and a good place nonetheless. Here’s a short list of some of the best options for breakfast in the Pasdaena area. Not in any order, will start to rank these based on feedback. Yahari’s – df – near Vroman’s, in the same mall as El Portal. Favorite spot for breakfast, friendly staff, consistently quality. Visited 10am on Sunday, Jan 12, 2014, the food is very good, the decor is also well appointed. Wait here can be upwards of 1 hours on Sundays. If you do come on Sunday be sure to visit the Farmer’s Market every Sunday, you could end up having enough samples to kill your appetite. Fairly small location, but open kitchen. Hashbrowns are excellent. Du-Par’s – new just opened about a week ago, in the space previously occupied by Hamburger Hamlet. Andy’s Coffee Shop – locals hangout. Marston’s – small house on Walnut near Raymond. Packed on on weekends. One thing that review sites should do is grade or allow users to rank, water and coffee. Especially breakfast places. nothing worse than having chlorinated water in the morning. We have taken your favorite draft beer and turned it into a gourmet jelly bean! Enjoy the authentic taste of a freshly poured draft beer without the alcohol. This fun jelly bean is completed with a jewel-like finish for a fresh from the tap “bubbly” look. Jelly Belly Candy Company is the foremost creator/supplier of gourmet jelly beans, producing the famous Official 50 Flavors lineup as well as a consistently growing lineup of new beans made with 100% dedication to quality and natural flavors whenever possible. Jelly Belly makes over 100 kinds of candies. The Confections brand features everything from creamy chocolates to Sour Gummi Worms to scrumptious Candy Corn, a treat made by Jelly Belly for over 100 years! There’s also an abundance of season-specific candy for gifts and parties and, of course, our world famous Jelly Belly jelly beans. Jelly Belly Candy Co. makes more than 100 mouthwatering candies, including chocolates, gummies, sour candies, Confections for all the major seasons, and of course, the world’s #1 gourmet jelly bean. At MyJellyBelly.com, you can create a Jelly Belly gift with your choice of container, custom graphics and jelly bean combination, all in a few fast, simple steps. Long after the beans are gone, the recipients will cherish the personalized container as a keepsake, and a sweet reminder of you! Tonight! Plate 38 will be doing it’s first Stone takeover on January 20, 2014 and we want to invite all of you who love BEER! This event will be a way to taste Stone Brewing Company’s newest concoctions. There will be numerous beers to try that you can not find anywhere in Los Angeles. There are a few spaces available, so give us a call and reserve your spot. Monochrome laser printer offers fast printing at up to 24 pages per minute and high-quality output for producing professional-looking letters, reports, spreadsheets and other documents. Get a first page out in less than 8.5 seconds. With a print resolution up to 2400 x 600 dpi, the HL-2230 produces professional-looking output with crisp text and excellent graphics. Convenient paper handling includes an adjustable, 250-sheet capacity tray that handles letter-size or legal-size paper and a manual feed slot for printing envelopes and letterhead. A manual feed slot and rear paper exit provide a straight-through paper path to ensure that all of your printed materials always look their best. Stylish, space-saving design complements virtually any environment. Printer also features Hi-Speed USB 2.0 interface, 8MB memory, and 200MHz processor. Energy Star qualified.Package Contents:; HL-2230 Laser Printer; 1 x Starter Black Toner Cartridge; Drum Unit; AC Power Cord; Quick Setup Guide; User’s Manual and Software CD Brother HL-2230 Laser Printer – Monochrome – 2400 x 600 dpi Print – Plain Paper Print – Desktop is one of many Black & White Laser Single Function Printers available through Office Depot. Made by Brother. And if you need paper…. Costco is open today Martin Luther King day. Costco is closed 4 days out of the year. Although this info was gathered from the website, it is always advisable that you call your local Costco, to make sure. Arnold Schwarzenegger Bud Light Teaser Ads NFL Super Bowl XLVII #UpForWhatever? Whatever is coming. Are you #UpForWhatever? Arnold is reportedly being paid $3 million for his work and appearance. Who doesn’t like Don Cheadle! Do not disturb on to not get calls. If you are a foodie, then Indian regional variation is bound to fill up your taste buds. You would be amazed to find how preparation varies from one state to another and how usage of spices and masala gives a fresh aroma to every dish. The use of local spices, herbs, vegetables and meat would take to a appetizing journey. Let’s talk about the cuisines of the capital of India, Delhi. Some of the most popular ingredients used in this region are cinnamon, ginger, cumin, tamarind and garam masala. The people of Delhi also love cooking with tomatoes, potatoes, ghee, butter and nuts. Their food is largely influenced by the Mughal rule of the 16th century. Mughalis were partial to rich, royal cuisine, and this explains why the cuisine today is as still bold and elaborate; these qualities were shared and adapted by Punjabi cooks. One of the boldest and the richest dish which has become synonymous with Delhi is Butter Chicken, also known as Murgh Makhani. Butter Chicken retains many Mughali trademarks: lots of spices, roasted meats, and thick gravy of cream, butter and tomato. Later in the process, the butter (fresh white butter made from thick cream that rises to the surface of buffalo milk) is combined with the tomato-based gravy, giving it a glistening and silky-smooth texture. Dahi Bhalla is also very popular in Delhi, and is eaten by many on scorching hot days. It is essentially a cooling chaat, and is also thought to sooth an upset stomach. The dish consists of dahi (creamy yoghurt) and bhalla – bready fried lentil fritters. The bhalla are covered in yoghurt, and then finished with yellow raisins, pink pomegranate seeds and sweet tamarind chutney, resulting to a sweet and tangy blend of flavours; perfect for a snack on-the-move. If you are in Delhi, you cannot miss its delectable kebabs. There are hundreds of varieties of kebabs that can be found on street stalls in Delhi, as well as being made in restaurants and homes. Vegetarians can find paneer or potato kebabs, but the most common versions are chicken tikka or skewered spiced minced mutton (known as mutton seekh). These are usually marinated for a long time, then grilled over a low charcoal flame, before being wrapped into a roti (they then become “kebab rolls”). Whether consumed as a starter, a late-night snack, lunch or dinner – people of Delhi will eat a kebab at any time of the day. If you can’t get over to Delhi to try these specialities first-hand, do not repent. You can simply make your way to one of London’s best-known fine dining Indian restaurants, Amaya. This is situated in the heart of Belgravia; they offer contemporary Indian cuisine, inspired by all the regions. Amaya has specialised in grilling and cooking to order, their kebabs are the best in town – whether they are spears of succulent smoky clove-infused lamb or fresh and seasonal fish, diners will experience food that goes above and beyond their expectations. SharkyNet.com is an international award-winning company that specializes in Web Design & Development, Hosting and Internet Marketing. We bring years of experience in web development and marketing to every client, whether it be a large website project or a small business start up. From ideas to fruition, our marketing, development and design teams have the knowledge and experience to handle any of your companies needs. Trader Joe’s National APPetizer Day! The Shed Winter Open House, Repair Cafe, Really Really Free Market and More! Green City Awardees La Loma Development and Transition Pasadena will host an open house and Repair Cafe at The Shed. Tinkers and Tailors will offer varied repairs of tools, clothing, jewelry, worm bins, appliances, electronics. See beautiful plans for the Shed venue, plant sale, skill share, tamales and “The Really Really Free Market.” Bring things in good condition you no longer need or want. Take whatever you may want…absolutely free! In the spirit of moving toward zero waste and better stewardship of our planet’s resources, the Repair Cafe/Pasadena links local handy people to folks in need of repairs of all kinds: Tinkers and Tailors will offer varied repairs of tools, clothing, jewelry, worm bins, appliances, electronics. The Repair Cafe is inspired by the philosophy of a Sharing Economy. We share our time, skills and talents to build a more vibrant local community, one repair at a time. As you may have heard or read, Target learned in mid-December that criminals forced their way into our systems and took guest information, including debit and credit card data. Late last week, as part of our ongoing investigation, we learned that additional information, including name, mailing address, phone number or email address, was also taken. I am writing to make you aware that your name, mailing address, phone number or email address may have been taken during the intrusion. I am truly sorry this incident occurred and sincerely regret any inconvenience it may cause you. Because we value you as a guest and your trust is important to us, Target is offering one year of free credit monitoring to all Target guests who shopped in U.S. stores, through Experian’s® ProtectMyID® product which includes identity theft insurance where available. To receive your unique activation code for this service, please go to creditmonitoring.target.com and register before April 23, 2014. Activation codes must be redeemed by April 30, 2014. Never share information with anyone over the phone, email or text, even if they claim to be someone you know or do business with. Instead, ask for a call-back number. Delete texts immediately from numbers or names you don’t recognize. Be wary of emails that ask for money or send you to suspicious websites. Don’t click links within emails you don’t recognize. Target’s email communication regarding this incident will never ask you to provide personal or sensitive information. Thank you for your patience and loyalty to Target. You can find additional information and FAQs about this incident at our Target.com/databreach website. If you have further questions, you may call us at 866-852-8680. This message was scanned for virus & spam. Over 125,000 customers in 100 countries now rely on Media Temple’s simple tools for domain registration, web hosting, business applications, virtual servers, and other cloud services to power more than 1.5 million websites. We take pride in offering a premium service at a competitive price, along with exemplary 24/7 customer support. Our customers range from everyday people to top bloggers, creative professionals, and small businesses, as well as large enterprises like Starbucks, Adidas, Samsung, and Toyota. Media Temple Web Hosting – Shared Hosting, Managed VPS Hosting, and Linux Hosting. Starting at $20/mo.